How do you get long-lived access tokens from the Facebook Graph API (server-side auth)? Since Facebook is removing the offline_access permission, I want to go ahead an migrate our website to use the new system. According to that document, server-side OAuth should get a token that lasts 60 days, I don't understand why I'm not getting that back. I really do not want to send our users throught the OAuth redirect every 2 hours. This is obviosly a short-lived token. According to the Facebook documentation (above), I should have received a long-lived token (since I'm using server-side OAuth). The same access_token is being returned in both requests. Does this mean that I've been returned the long-lived access_token? if so, where is the expiration? This seems to fix the original problem, but it's strange that the access_tokens are indefinite instead of lasting the prescribed 60 days. Any ideas on why that might be the case? Not sure if you know it. But the access token will only be renewed once a day, no matter how many times the user logs in into your application. Not the answer you're looking for? 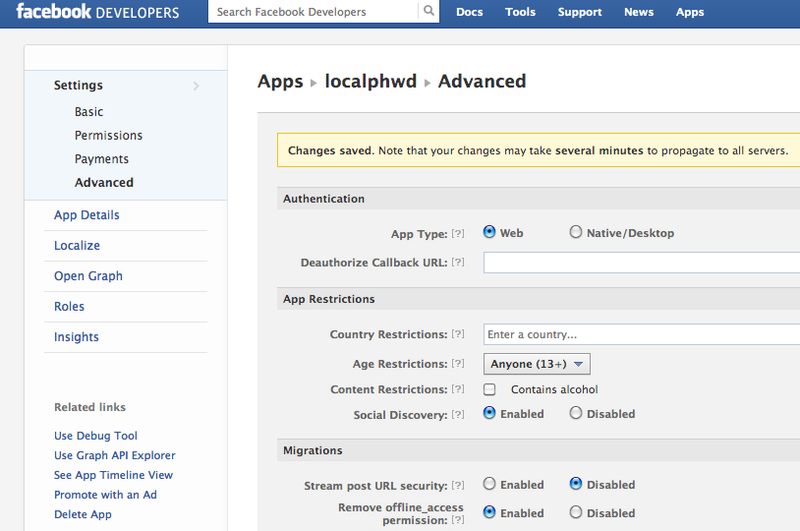 Browse other questions tagged facebook facebook-graph-api oauth facebook-oauth or ask your own question. How to get Graph API access token server side to post to my own page? Facebook long lived token doesn't expire anymore? Why Facebook Graph does not allow me to delete a post?